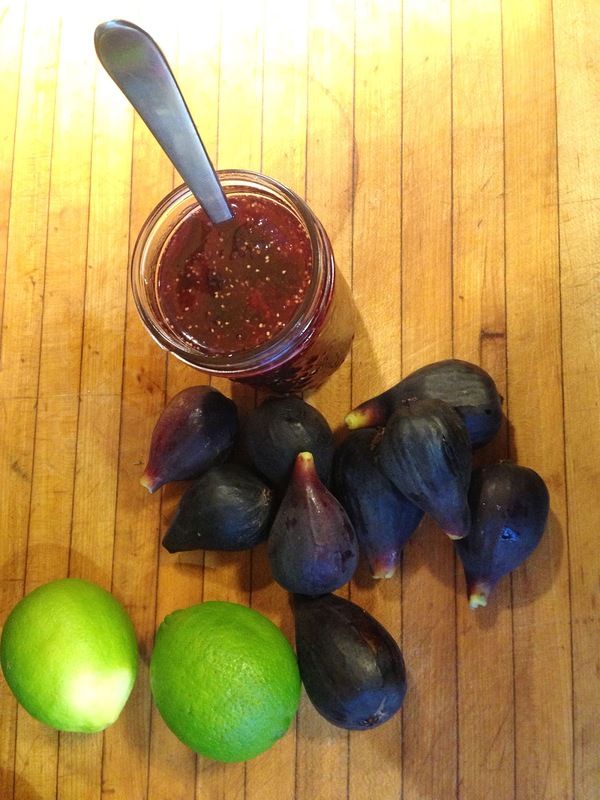 Our Black Mission fig tree has been producing a fantastic number of fruit this year considering it is not very large yet, just 7 feet tall and nearly as wide.... more a bush than a tree, but I have made two batches of jam and still have enough to try some other recipes. 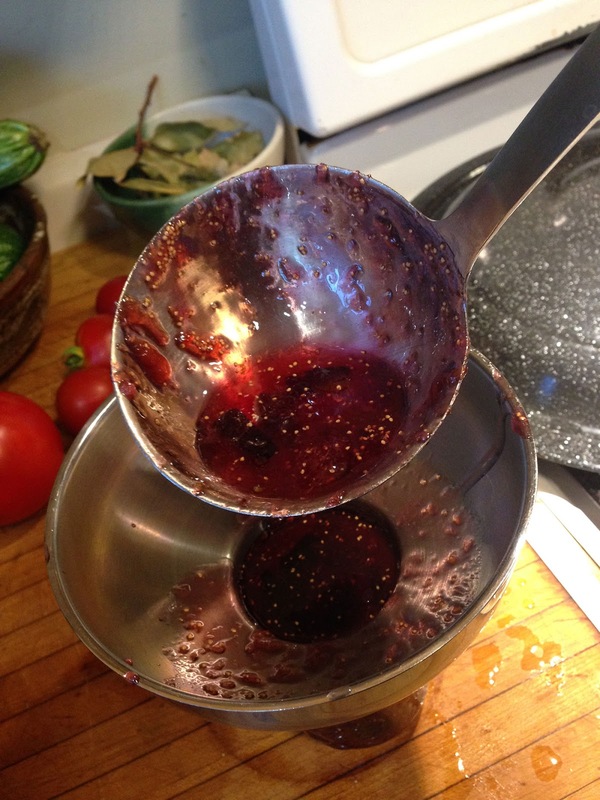 This jam recipe turned out absolutely delicious. First, get your jars into the water bath & get them boiling to sterilize the jars. Then start chopping! This will take about 36 small figs. peeling finely. Cut the lime in half and squeezed the juice, measuring to see if you have 1/4 cup, then chopped most of the lime flesh into tiny bits, throwing away just the hardest end bits. Add to the chopped figs in a large pot. If you don't have 1/4 cup of lime juice, add lime or lemon juice. Add sugar & butter. Stir until well mixed. Bring to a hard boil that can't be stirred down. Add pouch of pectin and bring back to boil. Boil one minute. Remove from heat and stir 5 minutes. Carefully fill sterilized jars to 1/4 inch from top, wipe the rims and cap with sterilized lid & ring. Place back into the water bath, cover and bring to boil. Boil 10 minutes. Remove from water bath and let them sit until cool before labeling and storing in a cool, dark place. Make about 9 jars of ruby coloured jam.